Another long silence! 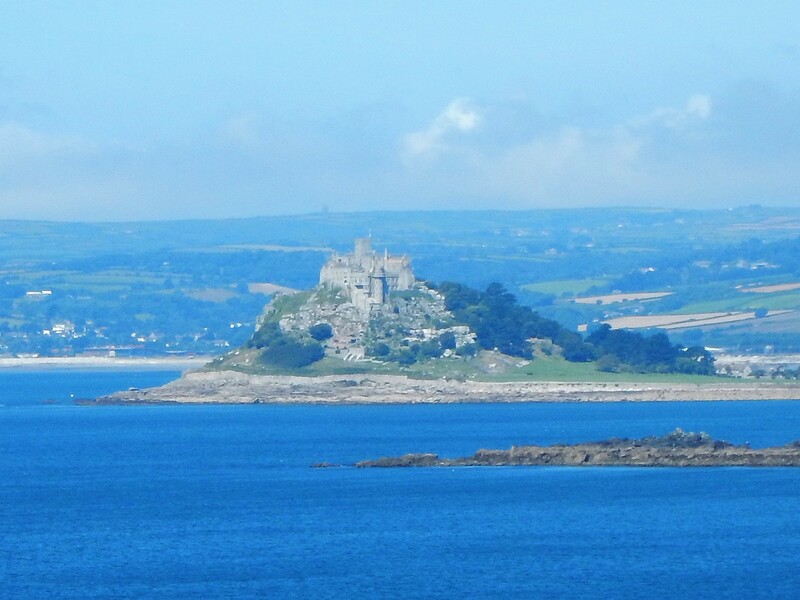 We have been waiting to be able to post that we have moved in to our new house and are settling in to our new life in Cornwall, sadly we are all going to have to wait just a bit longer for that announcement. You may remember (or maybe not!) 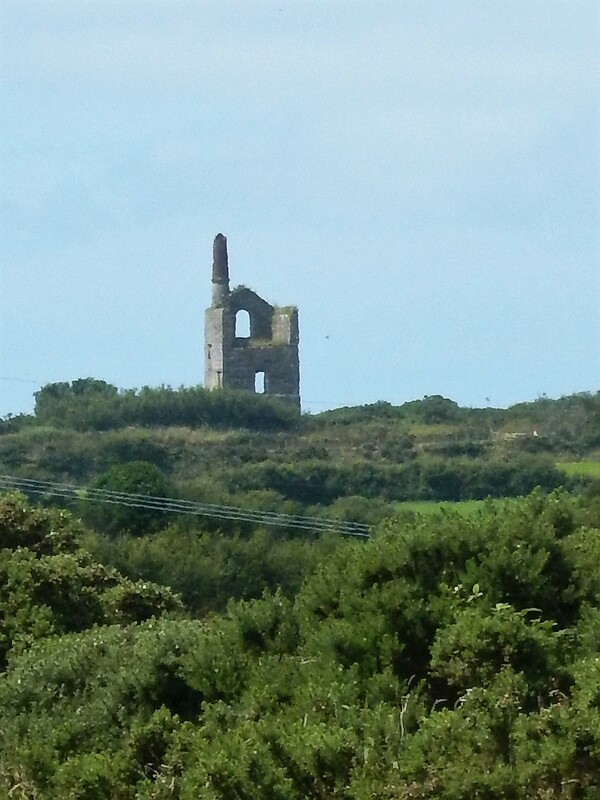 we found an old farm house on the far west coast in Pendeen near St Just with views out to the Atlantic. We were very excited about the prospect of living there and started to make lots of plans for the house and the garden. Things moved very slowly thanks in large part to the worlds most disorganised solicitor but finally in mid-September we were ready to exchange contracts and were getting ready to move in by the beginning of October. The solicitor prepared a final title review summarising the key points from the various contracts and searches he had prepared, his last task before we exchanged. 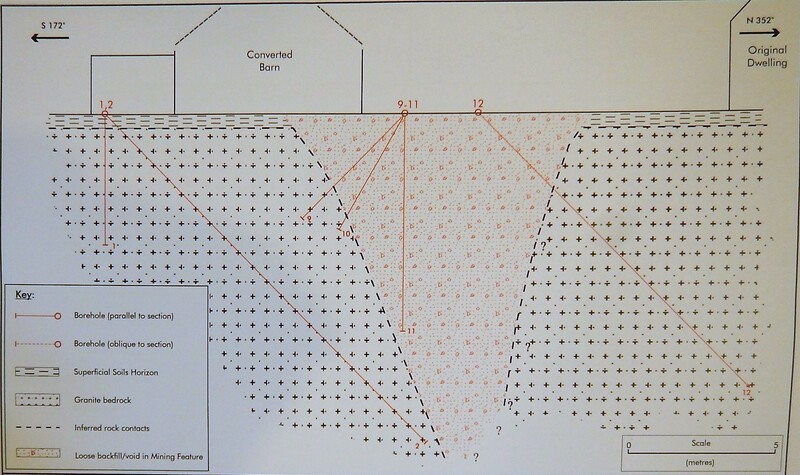 Unfortunately, during his review of the file he uncovered the report on the mining search, a desk review of all existing mining maps and records, given that Pendeen is in the middle of the UNESCO World Heritage mining landscape this is an important document in any property purchase in the area. The report had been submitted several weeks earlier but had been ‘auto filed’ without being read (I said he was disorganised! ), the report gave us a Red Flag Warning for subsidence due to the possible presence of historic mining works near the property. Our only option was to commission a site survey involving a drilling crew spending three days on site drilling core samples to analyse the underlying geology. This is not a cheap exercise, and given that it had to happen in a panic at the last minute we agreed to share the cost with the vendors who were nearly packed up and ready to move. The mining consultant moved quickly for us but we still had to wait two weeks for the survey to be completed and the report to be available. To cut a long story short it was not good news. The report showed extensive mine workings running right under the length of the Barn where Yvette planned to live with her mother and sweeping across the garden towards the road. In the C16th and C17th centuries mining in the area was surface mining, miners dug down to find seams of minerals and then dug them out. When they finished they backfilled the spoil and moved on. The site survey revealed that the Barn was built directly over one of these workings. The engineers dug down 13m without hitting solid rock, they stopped then because that was already as bad as it could be, the disturbed ground was about 10 meters across. The core samples revealed loose fill and, right in the centre a 7m deep void which they believed was created by loose stones being held up by a mixture of friction and old pit timbers. 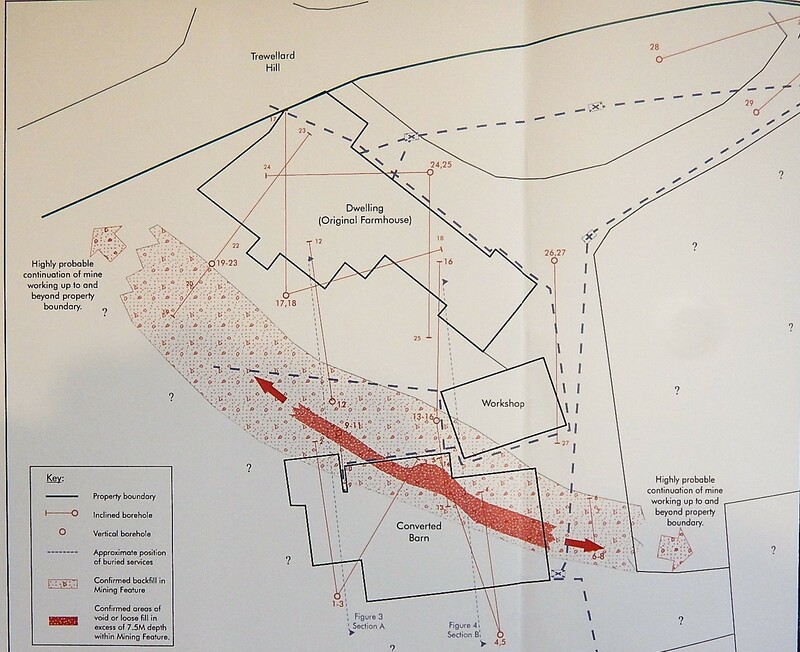 The Red Flag for subsidence evolved in to a high risk of collapse and a recommendation that the whole area be made inaccessible to people and animals for safety reasons. Suddenly the farm didn’t seem such an attractive investment. We had no choice but to withdraw from the purchase but before we could the owners took the property off the market while they considered their options. We were very disappointed but that is nothing compared to the shock the owners received, they have lived there for thirty years and raised a family there and suddenly, their property was almost unsaleable. So, back to square one. We scoured the property websites for alternative houses to view, and on a visit to Truro we dropped in to one of our favourite estate agents and asked them to start looking for something suitable for us. 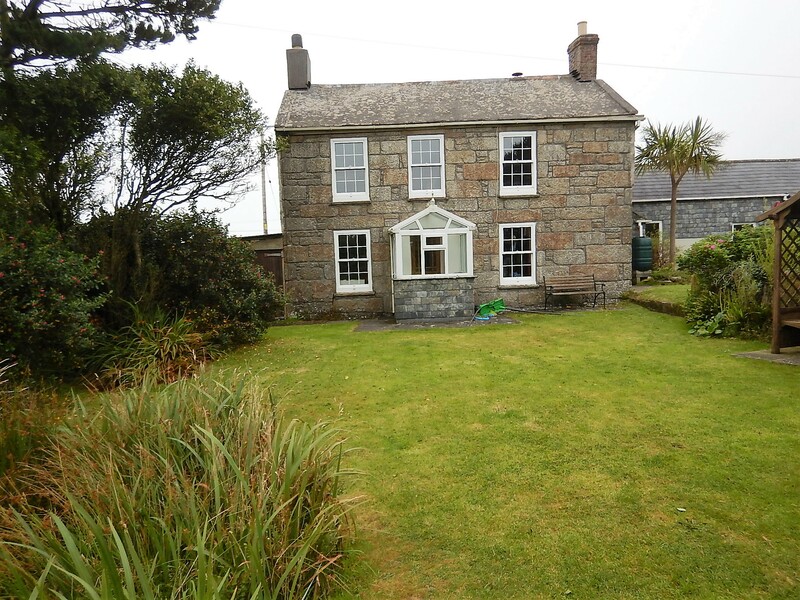 The assistant in the office pulled out the details of one property between Helston and Penzance which looked great, so we made an appointment to view it. Over the next week we went to see several possibilities, some were empty barns with planning permission to convert for residential use, a couple were old houses needing renovation and with outbuildings for conversion, none were quite right. 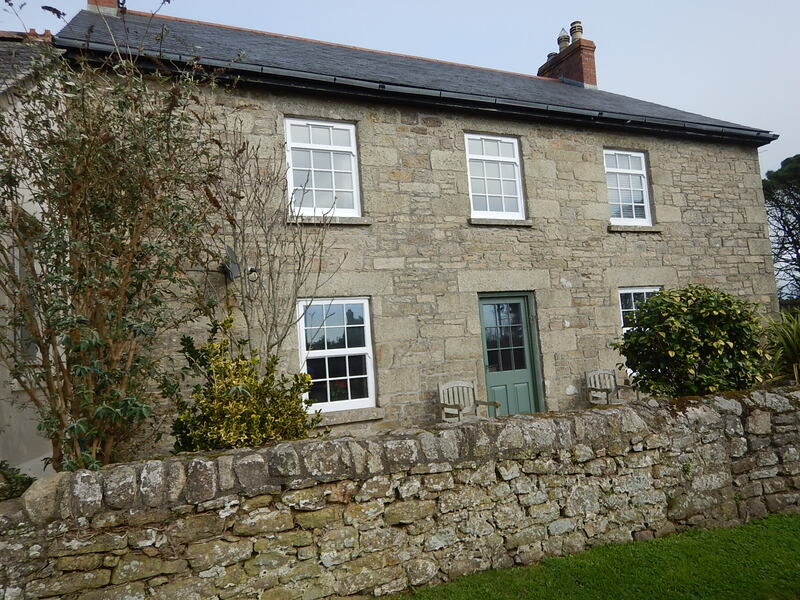 Eventually we got around to viewing the property on the way to Penzance, it was perfect, a four-bedroom granite farmhouse with an already converted two-bedroom barn, both in tiptop condition. The asking price was well over budget, but we are cash buyers with no chain, so we decided to put in an offer the same day (this house wasn’t going to be on the market for long). To our surprise and delight the owners came back and asked us to raise our offer by £5,000 – the deal was done, just two weeks after we received the mining report. We can’t help wondering if all the delays and problems were just fate stalling us until this house came on the market! We are back in the process of surveys, searches and contracts. We have a different solicitor on the case and the owners have rented accommodation ready for them to move in to as soon as we exchange contracts, all being well we will move in before Christmas. We aren’t counting our chickens just yet but let’s hope things run more smoothly this time. We will let you know. Hope all goes smoothly and fingers and toes crossed! What a nightmare but also a lucky escape! And how awful for the vendors. Hi Mark & Kim Oh the joys of house purchase; Sod’s law dictates that if it can go wrong it will. At these times you have to try to remain calm and hope that everything comes at right. When this happens you will in time wonder what it was all about. Hope that everything sorts it out soon, look after yourselves. We are thinking of you.